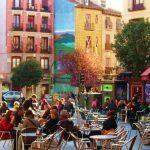 Puerta del Sol is one of the most famous squares of Madrid. 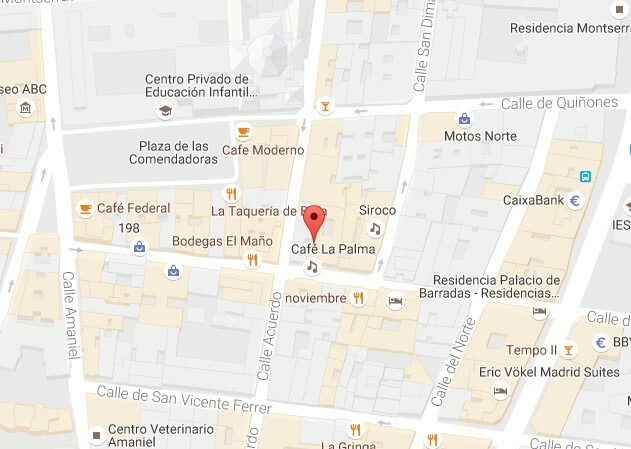 In it you will find interesting points of interest such as The Bear and the Strawberry Tree and Kilometer Zero . 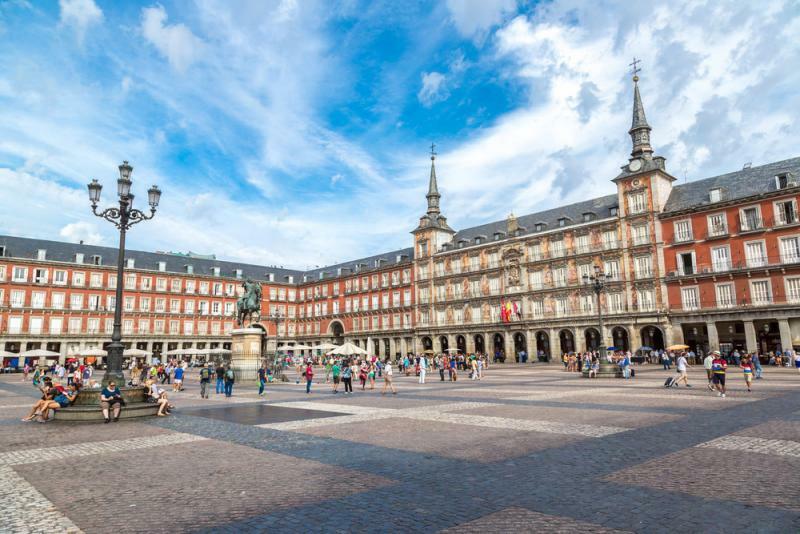 Plaza Mayor A few meters from the Puerta del Sol and the Royal Palace find the Plaza Mayor of Madrid, one of the oldest in Spain built by Juan de Herrera and Juan Gómez de Mora in the sixteenth and seventeenth centuries. 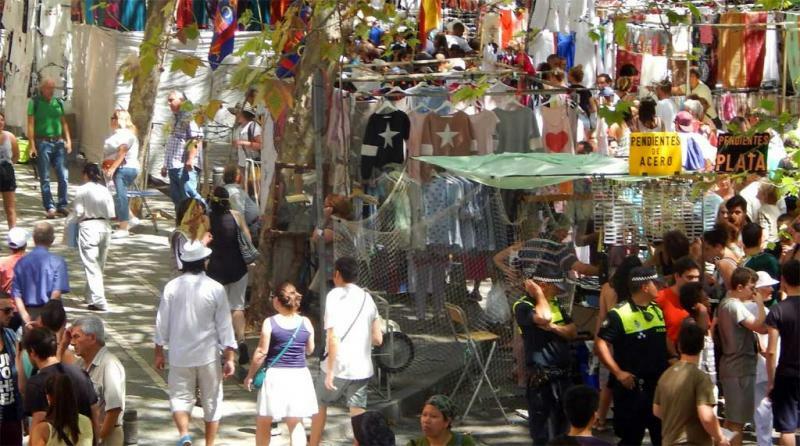 El Rastro is an outdoor market on Sundays and holidays celebrated in the historic center of Madrid, in the popular district of La Latina. Circulo de Bellas Artes A beautiful building, a fantastic viewpoint and artfully define the Fine Arts in Madrid, one of the best cultural centers of Europe . Debod Temple is one of the most important treasures of Madrid. It was a gift from Egypt to Spain for their help to save the Nubian temples . 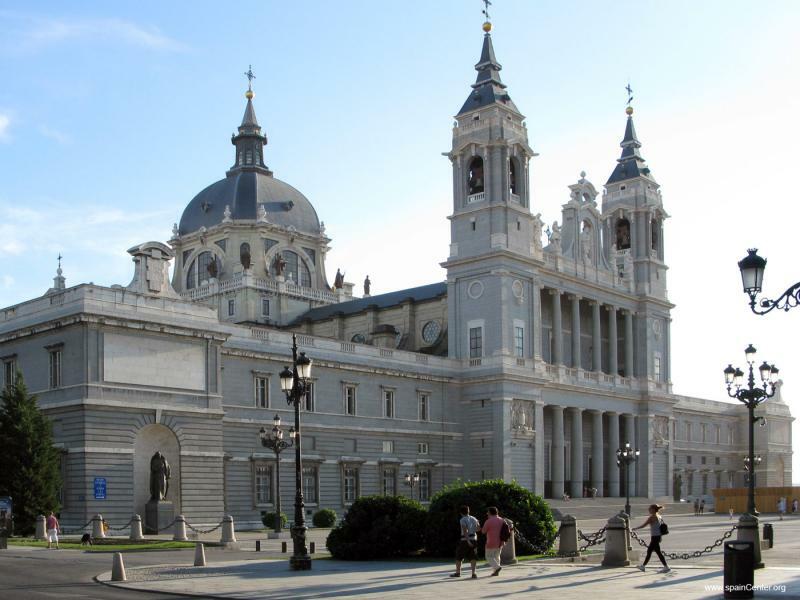 Almudena Cathedral is the most important religious building in the city. 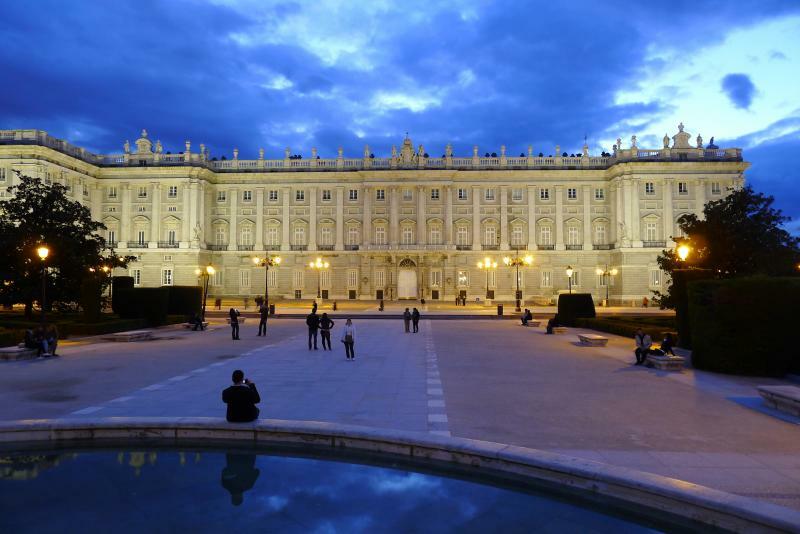 It is known throughout Spain for having hosted the wedding of Felipe and Letizia Ortiz. 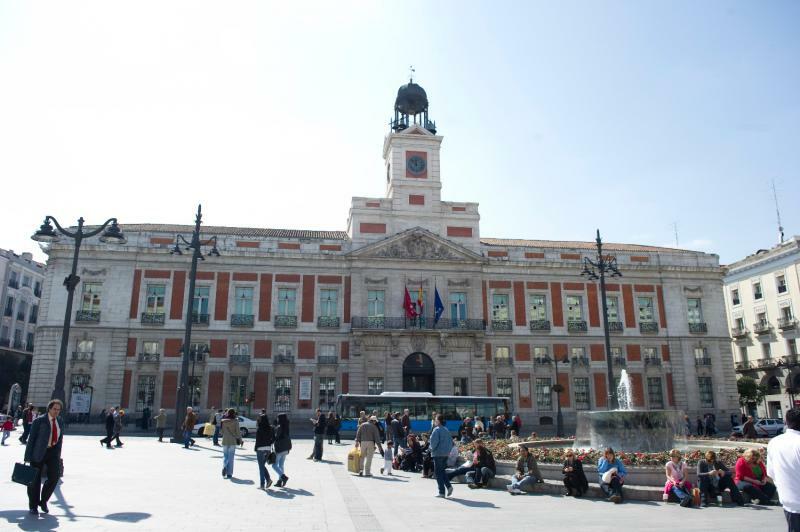 Plaza de Cibeles Square Cibeles and source are one of the most representative of Madrid. 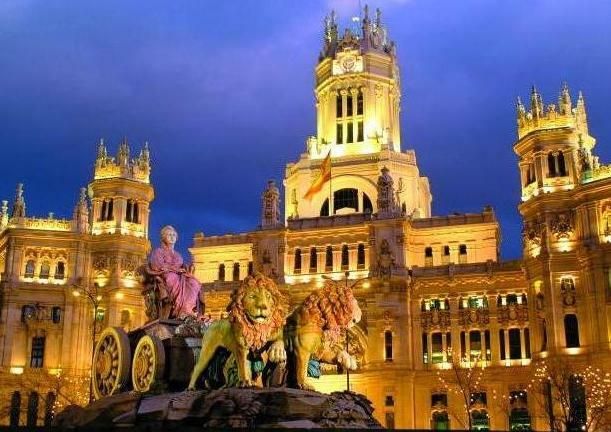 Cibeles is the place chosen by Real Madrid and the Spanish national team to celebrate the victories . 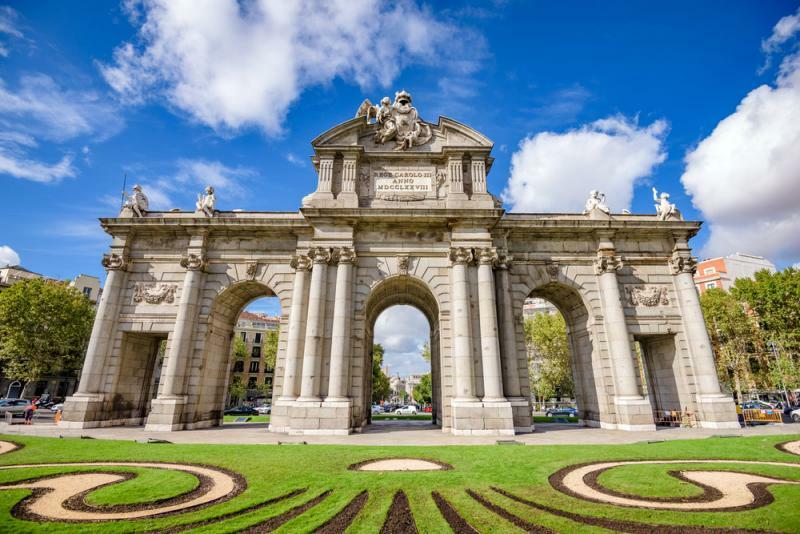 La Puerta de Alcalá is one of the most representative monuments of Madrid, was built by Francisco Sabatini during the reign of Carlos III .